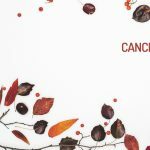 Here is your Cancer Horoscope for December 2018. Every month, you will find at WeMystic the astrological forecasts for your zodiac sign. December will be a fortunate time for the natives of Cancer with respect to love. The entrance of the Sun into the VII House of this sign, alludes to achievements attained by your life partner that bring satisfaction to your family. Remember that Pluto, Saturn and the South Node are also in the VII House of Cancer, which relate to the results of a project that took a long time to construct. For singles of Cancer, the entry of the Sun into the VII House points to a relationship that will be formalized (engagement or marriage), and for those who have not yet found love, they will have the opportunity to meet someone special. But beware, Mercury will start to retrograde in the V House of Cancer from December 1st to 5th, and then start its direct phase in this location and continue its shadow period in the VI House, starting on 12/12. In other words, if you are single and you know someone who really catches your interest, do not rush into things, because the other person will have (past) issues to resolve before opening up to a new relationship. The finances of the sons and daughters of Cancer will remain stable during December. Unforeseen expenses related to family members can cause some misunderstandings (Lilith in the VIII House), but the entry of the asteroid Vesta into your VIII House (12/01) facilitates a timely resolution of conflicts. Important: Vesta in the VIII House of Cancer is also a transit that supports revelations or visions in states of deep meditation, in addition to helping to overcome traumas associated with trust, vulnerability and attachment. In the workplace, December will be an excellent period for Cancer, thanks to the presence of Jupiter in the VI House of this sign, and the return of Mercury in its direct phase to the same location, after the 12th. You will be buzzing with ideas and want to grow your projects, but it is a good idea to be prudent, since Uranus will be retrograding in your X House at that moment. The retrogradation of Uranus in the X House of Cancer should not be perceived as a negative circumstance. On the contrary, this planetary movement gives you the opportunity to reflect on what you really want to achieve in professional matters. Retrograde Uranus in the X House helps to arrest patterns of control (which you thought you had previously overcome), in addition to reformulating your concept of success and analyzing whether you are working in line with your vocation or just to meet others’ expectations. The available alignments also warn about discussing your plans with people who have little credibility or getting involved with individuals who are prone to making bad comments, destructive criticism or gossiping. Partnerships with people of this nature reduce the vibration of your energy and can lead to unpleasant situations, such as stealing credit for work you did and creating conflicts with major colleagues. Another aspect to consider at this time is the beginning of the direct phase of Chiron in the IX House of Cancer (12/09), an event which is characterized by dissolving psychological (and emotional) barriers that prevented progress in academic (gaining a professorship) or international matters (moving, business, travel). On a deeper level, Chiron in its direct phase in the IX House of Cancer represents reconciling with your faith and adapting your life philosophy to the person you are now, because what used to work may be obsolete now when paired with your present and reality. The presence of Jupiter in the VI House of Cancer will facilitate the progressive recovery of the natives of this sign who saw their physical state decline during the few last months. It is a good idea to keep in mind that this astrological position (Jupiter in the VI House of Cancer) also increases your predisposition to overindulge with spending, eating and drinking at office parties and family gatherings. In this sense, the entry of Mercury in its direct phase into the VI House of Cancer on December 12th indicates a busy social agenda that involves the work space or the participation of colleagues. Although Mercury will be in its shadow period until December 24th (approximately), the natives of Cancer will consider these social gatherings from a strategic point of view. The beginning of the direct phase of the asteroid Juno in the XI House of this sign (12/23), indicates a commitment with projects that involve group collaboration or those that are geared towards impacting a collective group. These are initiatives that had previously been discussed, but were put on hold. With the New Year approaching, you will be dusting off ideas and looking for allies to start building momentum. This trend will be reinforced by the New Moon in Sagittarius on December 7th, which will impact the VI House of Cancer. It alludes to the need to implement a new lifestyle and work on what satisfies you (it may be a change of focus or occupation). Other astrological aspects you must keep your eye on during this season are the Full Moon in Cancer on December 22nd and the presence of the asteroid Eros in the XII House of this sign. Eros in the XII House of Cancer indicates the enjoyment of your own spirituality (a desire for moments of meditation alone), but also nostalgia for past loves. On the other hand, the Full Moon in Cancer invites you to let your feelings flow, but without losing sight of the present and its evolutionary purpose (North Node in Cancer). Missing the idea of romance is not the same as missing something that you already recognize as the past.